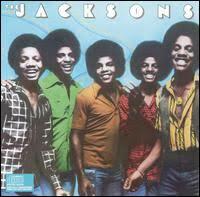 Motown begins court procedure over The Jackson 5 departure to CBS seeking $20 million damages. Carol Ann gives birth to Valencia Jackson. The CBS contract with The Jacksons is effective. Premiere of The Jacksons Variety Show on CBS. The show based on their Las Vegas set features The Jacksons + The Jackson Sisters (Rebbie, LaToya & Janet) singing, dancing & acting with guest stars such as Mohamed Ali, Sonny, Redd Fox or Linda Carter. Each week during the summer, the series is a big hit even though Michael hates to do it because of lack of time to rehearse. The Jacksons are guests on The Tonight Show where they give an interview and perform 2 songs. The Jacksons perform "The Bozo of the Year Awards" and Michael does a skit.